Awwww. This is just too sweet. I suspect that tomorrow morning we shall see these two chairs stacked one upon the other! Great eye. Ahhh, may I sit down for a spell? 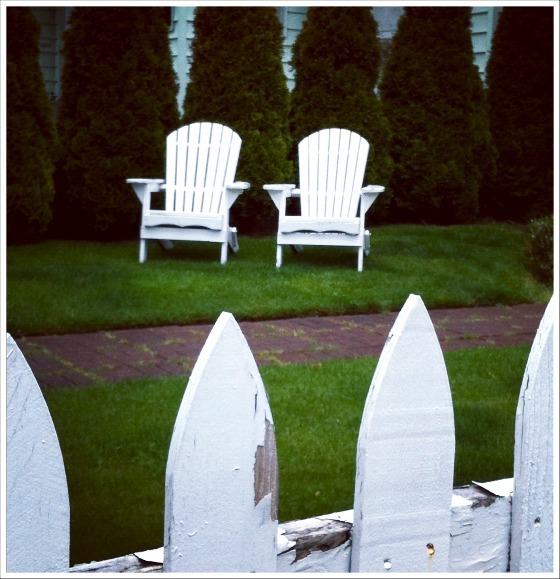 Amazing photo--the spot of missing paint on the fence may be a telling detail. Was this pic taken on your street? Yes. I am so happy to know you've met yours too. Isn't it wonderful?